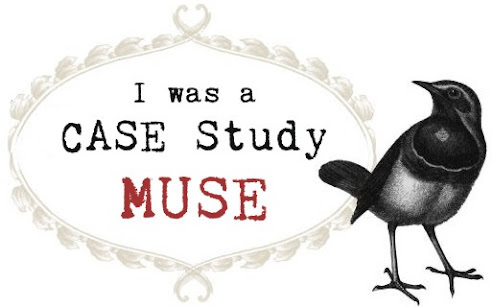 I'm sad that it's my last week as a Muse over at CASE Study... However, I had so much fun with revisiting my old cards and CASEing them. I'd love to say a big thank you to Iwona for giving me such a great opportunity! Now, here is this weeks inspiration card. The cat image is a digital stamp from Birdie Brown. For making the background scene, I used Bugs & Hisses set from TSG. TSG is sponsoring this weeks challenge over at the Tuesday Morning Sketches blog, so I wanted to share a card I made for the challenge. it's been a loooooong time since I used Bountiful Blessings set last time. Ha ha! Autumn has come here Japan at last, and crisp air reminded me of this set. 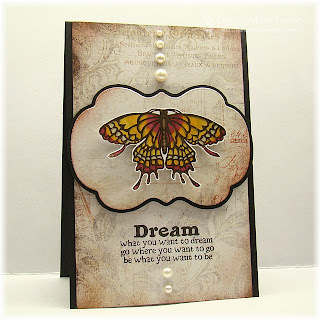 Please head over to the Tuesday Morning Sketches blog for the challenge details and more inspiration from fabulous DT! This week is a TSG Again! week over at the TSG blog, where we are featuring some awesome older TSG stamp sets. This month we have a Birthday theme going on and here are the sets we're featuring. I used Wrapped In Joy set. My daughter, 11 years old, needs a birthday card for her friend next week. I thought this card would be good, but she complained that it was too girlish. I know she doesn't like pink... She prefer dark colors...:( I may have to make another BD card for her. As it was just two years ago that I made this card, I completely forgot it. LOL! Revisiting my own old cards was so interesting! 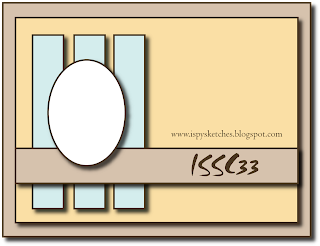 I turned the layout upside down and changed the stamp set. But I tried to keep the other elements. Here is my re-take. Be sure to stop by CASE Study challenge blog to see what the DT created for today! Hi everyone! Just popped in to share a card I made for this weeks iSpy Sketches (ISSC33). Thank you for stopping by. Have a lovely day. 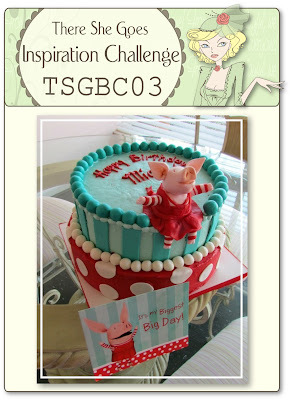 This week our challenge over at the TSG blog is brought to you by our Trendsetters! We are challenging you to make a card or project with a “presents/gift giving” theme. That can be tags, bags, cards, whatever you like!! 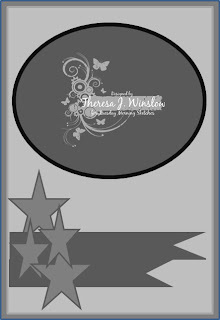 I made a tag card using Make a Wish set and Wrapped in Joy set. I attached a small circle card to the back of the tag and stamped a sentiment. To be eligible for the giveaway, create a card or project using this week’s challenge and then come back to the TSG Blog to add your name and a link to your project in the InLinkz that is located at the bottom of the challenge post. This challenge is open until the winner has been announced on the following Monday (August 24th). The winner will get a $15 gift certificate to use in the TSG Web store! You do not need to have a blog to be able to participate in the TSG Challenges! You can simply add the URL link from your project after it has been uploaded to your online craft gallery. If you upload your card to an online craft gallery, please use the keyword TSG173 so we can check out your beautiful work! I added 5 new digital stamps to my Etsy shop today and uploaded my sample cards on the Birdie Brown blog. I'd like to share two of them here, too. For the first card, I used Halloween Cat 02 along with Bugs and Hisses set from TSG. Don't you love his funny face? Hee hee! Next one was used Witch doll 01. If you are interested in the other new digital stamps, please visit the Birdie Brown blog and/or my Etsy shop. Today I'd like to share a card I made for this weeks CASE Study Challenge(CSC108). Iwona has chosen this card as this weeks inspiration. 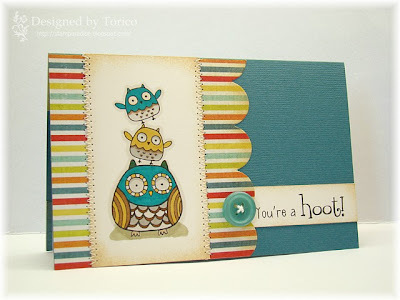 Be sure to stop by Case Study Challenge blog to see what fabulous DT created for today! And I hope you get a time for playing along this week. 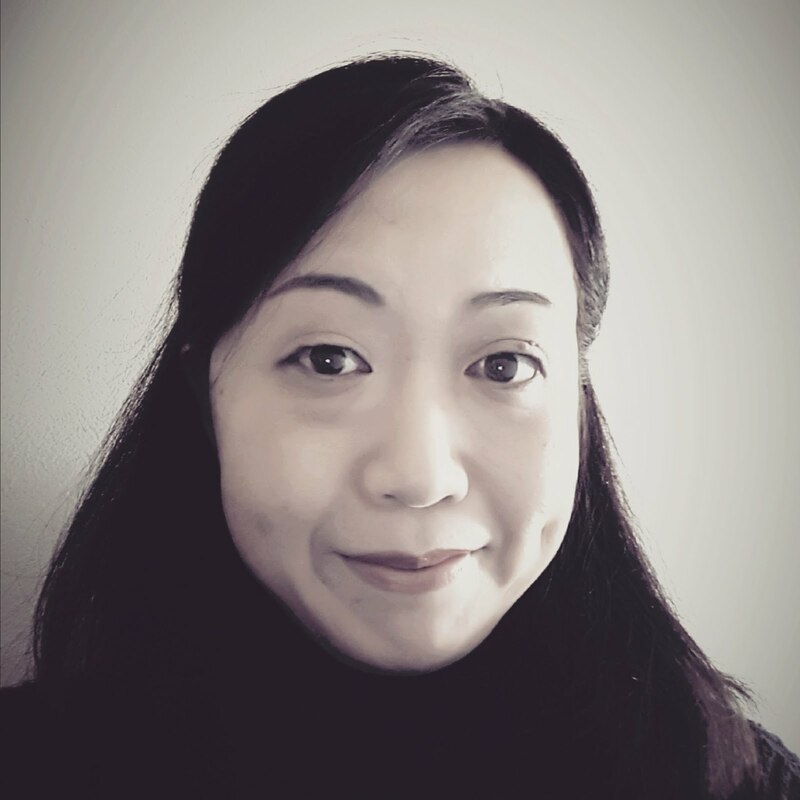 When Iwona asked me if I was interested in becoming a Guest Muse, I couldn't even believe it. As you know, the past Muses are super talented and their creative level is soooo high! And also, gorgeous creations by CASE Study DT blow me away every week. So I wondered if I deserved to be their Muse...??? But, anyway, Iwona invited ME!! Why can I miss this great opportunity? Here is the card Iwona has chosen for this week's inspiration. 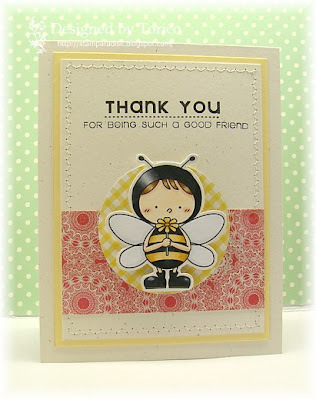 This time, I used Bee Happy set from TSG and loosely followed the layout. As I said yesterday, September marks There She Goes fourth in business, and to help us celebrate, we are having a full month of FUN!! We started posting challenges on Monday, September 3rd, and we are keeping on through Friday, September 7. We will be hosting one challenge per day. Each day will have a different birthday related theme, and will have a prize for the random winner chosen on Saturday, September 15th one $15 gift card per day!! Each day will have it’s own Inlinkz for you to link your creation to, and then on Friday, we will post an Inlinkz for ANYONE who has created a card for each challenge. The random winner chosen from all those that have finished all FIVE of the challenges, and added their name to the Inlinkz, will be entered to win our grand prize drawing-a $75 gift card to the There She Goes store!! For the daily challenge prizes of $15, you can use stamps from any company you chose, but we would LOVE to see you using your TSG stamps! However, to be eligible to win the grand prize of $75, all your entries must use TSG stamps only! Today's challenge is brought to us by Sandra! She has challenged us to make a card or project using the inspiration photo provided, with a birthday theme of course! Well, I think I don't need to describe how I was inspired by the photo. LOL. I made the polka dot cupcake with the Enjoy Life Die set. To make a cup, I used a cone die from the set and cut off the bottom part. The sentiment was from A Little Treat set. You will have until Friday, September 14th to finish this challenge, and the winner will be announced on Saturday, September 15th at 12amEST!! That gives you over a week to get finished!! If you happen to finish them all, and we hope that you do, you can add your name to the Inlinkz being posted on Saturday, September 8th to be entered to win the GRAND PRIZE!!!! Want a calendar to keep you things straight? Click HERE to get a birthday challenge calendar!